Give us a call to book your family’s trip of a lifetime! The trusted source for your family big game hunting, wingshooting, fishing, and African photo safari adventures. We have been there, we know the people, you will love them! We believe every member of the family should enjoy their vacation. We take care of the details so you do not have to. Just pack and show up! We care about your family's safety while on your adventure. We are changing generations through the outdoors, and your adventure will do the same. Your family will love experiencing our proven Family Expeditions destinations around the globe. Each elite destination in our portfolio is tried, true and tested by our expert family team receiving the coveted Family Expeditions stamp of approval. The expertise we share with you is built on our first hand experiences and our substantial personal global connections built over the last 40+ years of outdoor travel. We want to get to know your family and plan your next family adventure! It is possible for everyone in your family to be happy on the same tailor made vacation. Whether your entire family enjoys hunting and/or fishing or your family would like other activities built in to your itinerary, we are here to cater to your requests. Select from ultimate luxury accommodations with spa’s, numerous activities and chef prepared meals to adventure tented camps and everything in between. Consider Family Expeditions your family’s concierge in the outdoors entrusting all the details in our expert caring hands from trip selection, flight coordination, travel insurance and trip details to what to pack. 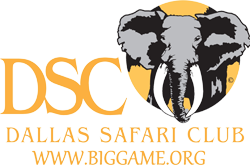 The Dallas Safari Club Convention – January 17-20, 2019 Booth #’s 2630 and 2729. You can’t miss our central location with large overhead banner. Discerning travelers, if you do not see exactly the destination that you seek on our website do not lose heart. We are constantly visiting new destinations to give you the most cutting edge experiences. Email us or give us a call to discuss your next outdoor family vacation.